Shelter pets reward their new families with unconditional love, but it doesn’t stop there. Many former shelter residents also go on to help people who need a little extra support in their lives. 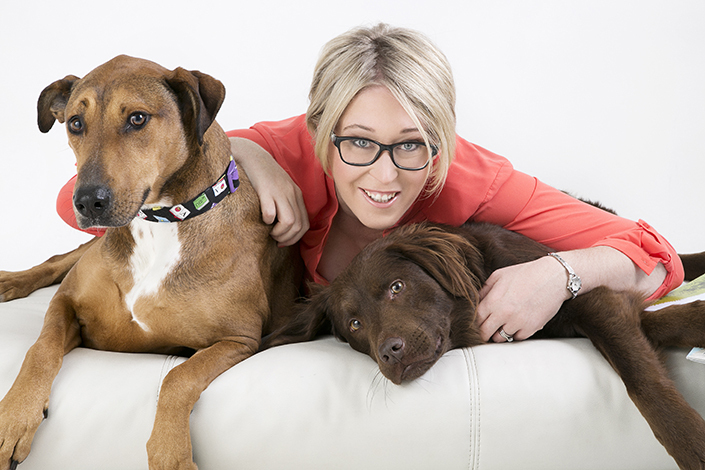 Sarah, teacher and dog trainer, adopted her beloved dogs from The Lost Dogs’ Home. Minnie and Oscar were adopted eight months apart, but have formed a remarkable bond. 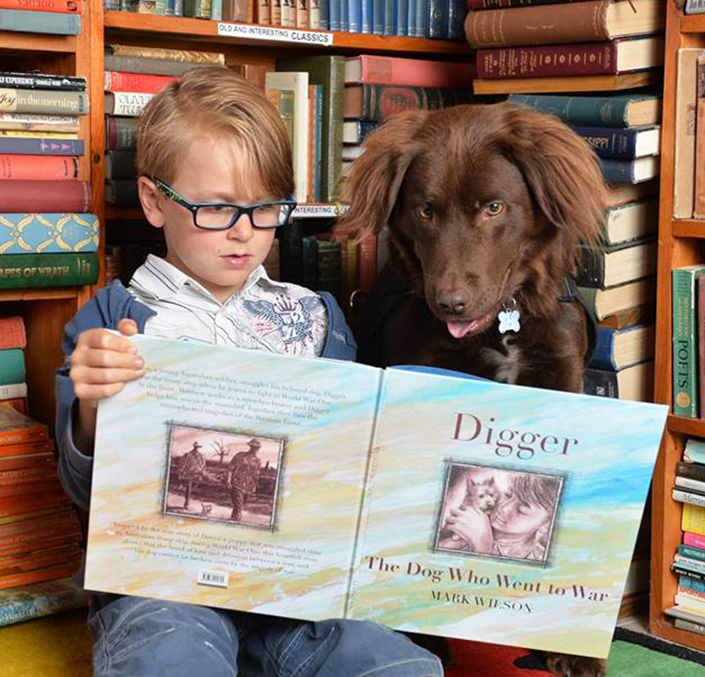 Minnie and Oscar were the inspiration behind Sarah’s venture, Canine Comprehension. 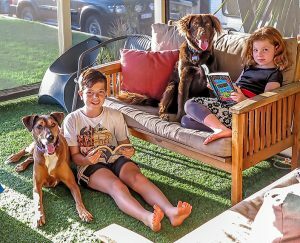 “We do individualised one-on-one training where a child will work with a tutor and a therapy dog. These children are usually kids who have trouble trusting adults, who don’t want to have tutors, or who have trouble communicating with strangers,” said Sarah. “We work with schools and residential care units, and it allows us to establish a relationship. The child and the dog establish a relationship, and then the tutor can gently come in there and give advice. It just makes it a lot more of a happier environment, and the kid looks forward to the tutoring sessions. Minnie and Oscar play an important role in helping these children with their learning. “Dog therapy has been around for a while now. It has been shown to decrease stress hormones and lead to the increase of social inducing hormones. As we all know if we own a dog or any pet, just cuddling a dog or being around them makes us feel more positive,” said Sarah. “What I also love is it really is that non-judgmental space for kids. There are some groups where we don’t do a lot of work with the dog – there’s no training or tricks involved – the dog is just around. The pet adoption experience was very rewarding for Sarah and her husband, David. When they moved into their new home, they wasted no time welcoming a dog into their family. “I hadn’t even unpacked my bags before I was on The Lost Dogs’ Home website looking for a dog,” said Sarah. Sarah and David knew that adopting from an animal shelter was the way to go. You get so many cross breeds and so many different-looking dogs with individual personalities and real individual stories,” said Sarah. 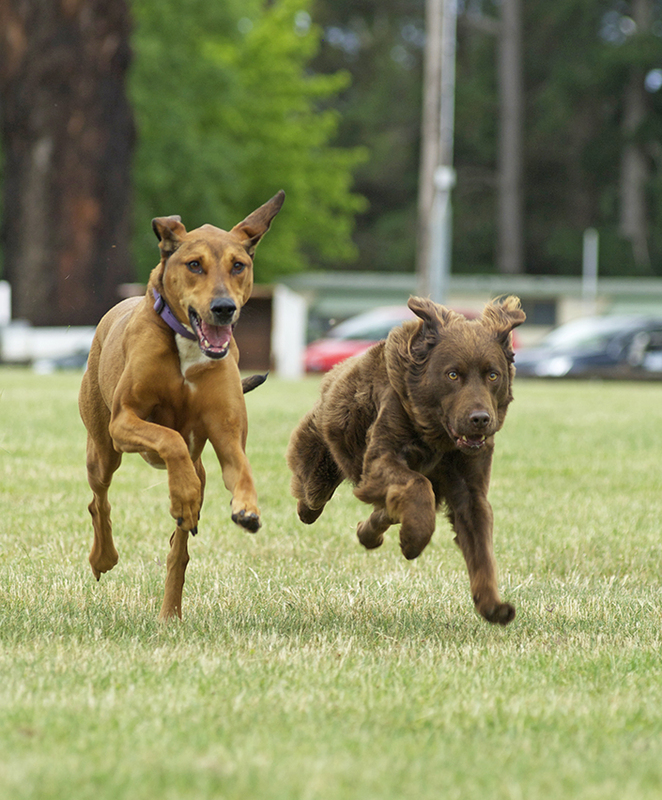 “Minnie and Oscar are so different, but we’re so lucky that we’ve got two amazing dogs from The Lost Dogs’ Home. “Minnie goes from zero to a hundred. If she’s not totally chilling out, she loves to go for a big gallop down at the local oval. Running around with her friends, she just loves galloping around and having fun. “Oscar is one of those dogs that just wants to be with you the whole time – he is your absolute shadow. My husband has a few hobbies and one of them is woodworking. Oscar will go down to David’s workshop and just needs to spend time with him and is always hanging around. “If he’s not doing that, we’ve got another little pup and he plays with her and they just run around together.